APPLYING YOUR BRAND TO VEHICLES, SIGNS AND BUILDINGS TELLS THE WORLD YOU’RE HERE. BUT AS THE VERY PUBLIC FACE OF YOUR COMPANY – AND OFTEN THE FIRST THAT PEOPLE WILL SEE – IT HAS TO BE EXACTLY RIGHT. Like any creative project, effective signage begins with sound planning and research. As well as considering what it will look like, we need to consider how and where it will be used, and the precise information and/or brand messages it needs to deliver. It’s this combination of left-brain logic and right-brain creativity that ensures your signage meets both your practical and brand objectives. We start by assessing and defining the project’s scope, so we fully understand the nature and extent of the task in hand. We gather information, formulate strategy, consult, discuss. It’s an investment of time that pays huge dividends later on: crucially, it’s also an invaluable way for your team and ours to get to know and trust one another. From a small cash desk notice and point-of-sale to information boards and large external banners, we produce all the design work in-house, following our clear and rigorous design methodology. We recommend materials and options (from laser cut-lettering to hand painting) that will allow consistent, clear reproduction of our designs, and meet any specific requirements for the intended location. We then work closely with trusted suppliers on production and installation. Permanent signage, flags, banners, light boxes, directional signs and temporary signs for events. In-store messages, fascias, directional signs and temporary banners for events and stands. 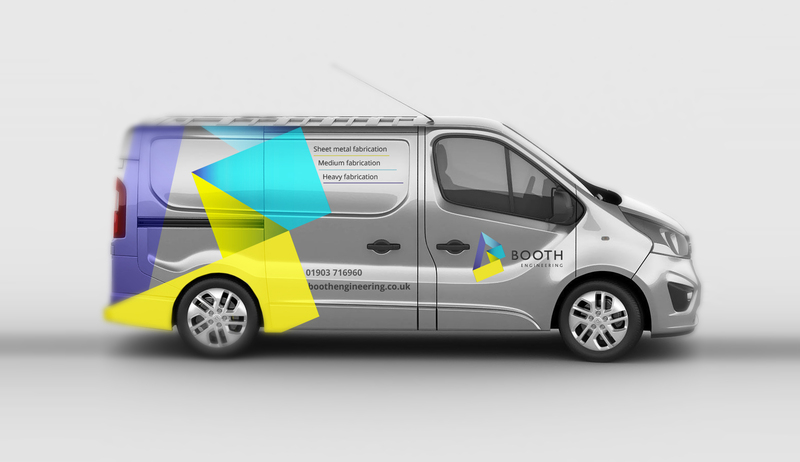 Bodywork vinyl and window graphics for cars and commercial vehicles.